Recent negotiations in Astana may create the basis for further political reconciliation, several members of the Syrian opposition told RT, while emphasizing that the constitution is a matter that should be exclusively decided by the people of Syria. Despite major differences in the political platforms of the Syrian opposition members with whom RT spoke, most agreed that the Astana meeting had not been held in vain. As an example of progress, Hassan Abdul Azim, the General Coordinator of the National Coordination Committee for the Forces of Democratic Change (NCC), a Syrian opposition group comprising over a dozen left-leaning political parties, pointed to an agreement reached with the military wing of the Free Syrian Army (FSA) that became a part of the ceasefire regime. “The meeting in Astana is an attempt to support this agreement and to secure the ceasefire regime on the whole territory of Syria, excluding ISIS [Islamic State, formerly ISIL] and Al-Nusra Front,” Azim told RT, adding that the Astana forum had not replaced the Geneva conference, but rather prepared the ground for it. 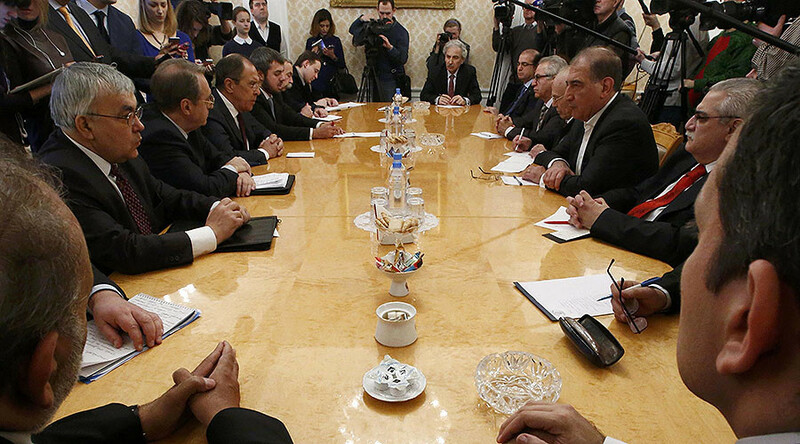 Azim said that Russia has become more flexible and begun playing “a more important role” in the peace process. Commenting on the draft constitution put forward by Russia, he stressed that the new Syrian constitution should be solely authored by the Syrian people. “[Russian foreign minister Sergey] Lavrov assured us that the submitted draft was only major ideas up for discussion and asked us to send our draft, while saying Russia would not impose anything on the Syrians,” Azim said. “The symbolic meaning of negotiations in Astana lies in the fact that dreams of the military toppling of regimes (sic) will be put to rest,” Makdissi said. 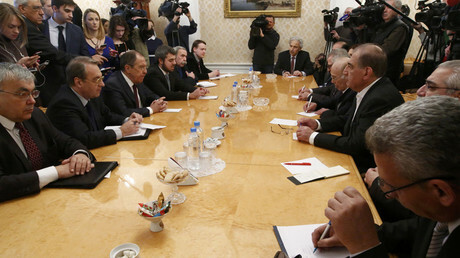 Despite his opposition to the Syrian government, Makdissi believes the opposition and Damascus should stand on one side of the fence in eradicating the “cancerous tumor” of terrorism. “We must recognize the fact that the Syrian political regime exists. Do we like it? Of course not, otherwise we would be living in Syria now,” Makdissi told RT, acknowledging that “that regime is still legitimate,” as it still has representative in the UN and missions in other countries. “They [Russian delegation] asked us to look into these proposals, but did not force any document on us,” he said. 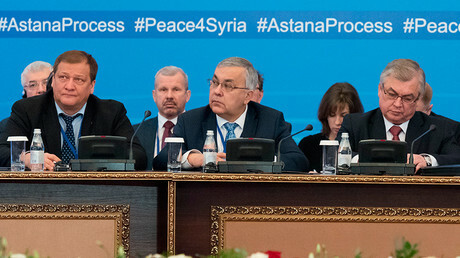 George Sabra, the former president of the National Coalition for Syrian Revolution and Opposition Forces, the main alliance of opposition forces in Syria, told RT that, while the group refused to participate in a meeting with Lavrov due to the lack of a detailed agenda, it did send a team of legal and technical experts to Astana to support the opposition’s delegation. At the same time, Sabra flatly rejected the idea of a third party drawing up a constitution for the Syrians. “We strongly condemn and oppose the draft of the Syrian constitution prepared by the Russian Federation and it is not acceptable for us that anyone else, except for the Syrians themselves, would make the country’s constitution,” he told RT. Ibrahim Ibrahim, a spokesman for a left-wing Syrian Kurdish political party called the Democratic Union Party, which was not represented at the talks, blamed Turkey for his party’s absence. Lavrov stressed on Friday that it would be inappropriate to compare the Iraqi constitution drawn up by Washington to the Syrian one.